[img_assist|nid=5980|title=Prompted|desc=|link=node|align=left|width=67|height=100]PS Books, a division of Philadelphia Stories, in partnership with the Greater Philadelphia Wordshop Studio, presents Prompted, an anthology that explores the human condition via poetry, personal essays, and fiction (Spring 2010, ISBN 97809793350510). From internationally published author Julie Compton (Tell No Lies, Rescuing Olivia) to first-time poet Marsha Pincus, Prompted’s connective tissue lies in a deep love and respect for the craft of writing. Prompted is edited by Greater Philadelphia Wordshop Studio Director Alison Hicks, the author of the novella, Love: A Story of Images, and Falling Dreams, a volume of poetry. Hicks began the Greater Philadelphia Wordshop Studio (GPWS) in October1996 with five people who met for three hours once a week in a church in Center City, Philadelphia. The process was the same then as it is today, and the Center City workshop still meets in that same church. Hicks began a similar workshop in the Delaware County/Main Line in 1999. The anthology will be released on May 22, 2010, at a launch party at the American Swedish Historical Museum, 1900 Pattison Ave., Philadelphia, PA. It will be available for purchase through PS Books, Amazon, and all major bookstores. PS Books publishes literary and commercial fiction, nonfiction and anthologies with a preference for, but not limited to, the Delaware Valley. 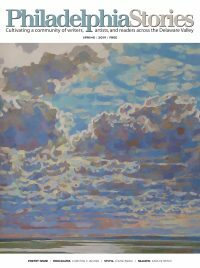 PS Books is a division of Philadelphia Stories, a nonprofit literary magazine and companion website that publishes literary fiction, poetry, and art from PA-NJ-DE and provides it to the general public free of charge.